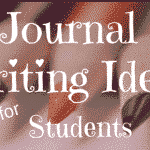 Introducing journaling to students at a young age can have a major impact on their comfort level with writing and their creativity throughout the rest of their lives. Kids who practice journaling on a regular basis are better at writing and communicating their thoughts—and they also build important critical thinking skills that help them in their other studies, as well. 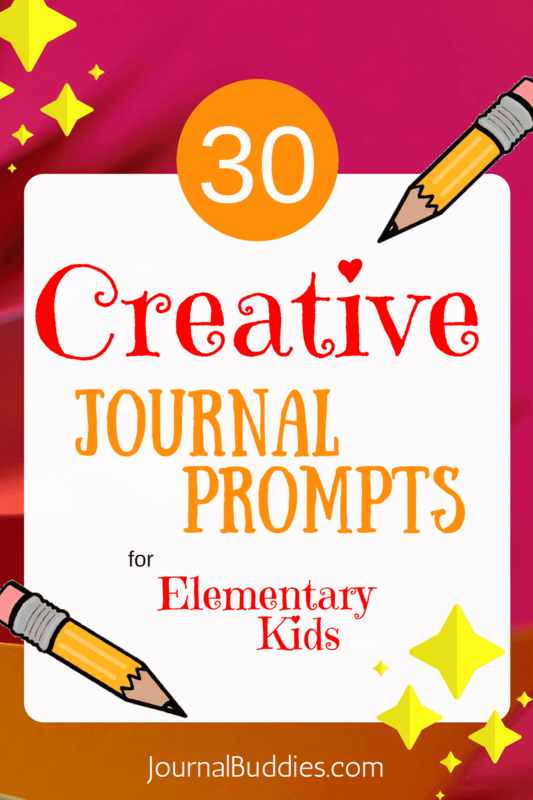 But for kids to fully reap the benefits that journaling has to offer, they need creative and engaging writing prompts that will capture their attention and get their minds turning—so we’ve prepared 30 journal prompts for elementary school students that serve this exact purpose! Covering everything from the silliest fantasy worlds to the mysteries of outer space, these journal prompts will have students feeling eager to sit down and write about everything their young minds can come up with. 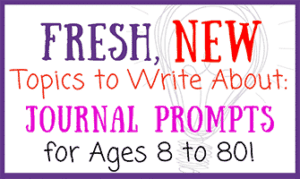 Use these all-new prompts with your elementary school students to help them unlock the joys of journaling! If you could have any magic power, what would you choose? Why? Write a silly song about your parents. Describe what they are like and your favorite thing to do with them. Write about a time when you woke up in the middle of the night from a dream. Was it a good or bad dream? How did you feel? Was it hard to go back to sleep? 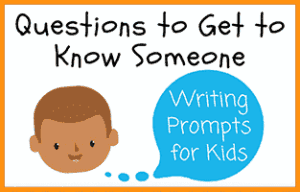 Write a story about two friends who go on a journey to find something that one of them lost. 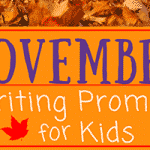 Write a short story about a large group of kids who must work together to achieve a single goal. What would you do if you woke up one day and you had been turned into either a kid-sized elephant or an elephant-sized kid? Have you ever wished for something that eventually came true? What happened? 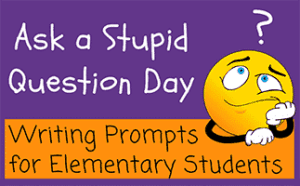 In your opinion, what is the single greatest day of the year? What makes it so fantastic? What would you do if you went home from your school and your parents told you that they had just won the lottery? How would you react? Fill in the blanks: If __________ happened, I would never feel __________ again. 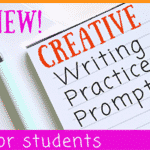 Then, write about the sentence you’ve created. Fill in the blanks: If I were a __________, I would always __________. 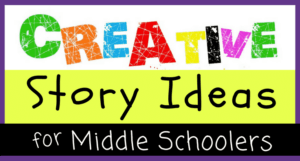 Then, write about the sentence you’ve created. What is the best way to make a new friend? Why is this strategy the most effective? Write a short story about a dog named Douglas who really loves digging and doughnuts. 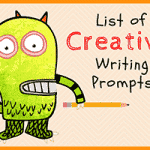 Write a rhyming poem about your favorite food. 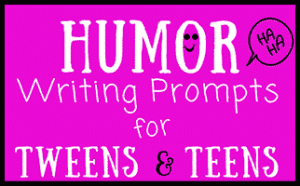 Write a rhyming poem about yourself that describes a few of your favorite things. 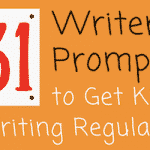 Write a short story about a cat named Cassandra who works as a cab driver and loves carrot cake. 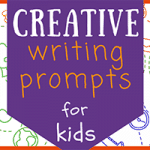 Write about a time when you did something that surprised someone else. What happened? How did the other person react? What is the best feeling in the world? Describe it in as much as detail as you can. What is your favorite thing about going to school at __________? What is your least favorite thing? Why? What do you think would happen if you woke up one day and all the clouds had turned to marshmallows and the trees were made of broccoli? What other things might have changed? Have you ever given up something you wanted so that someone else could have that thing instead? Write about what happened. 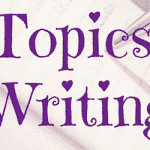 Write about a time when someone made you feel really special. What did they do? What do you think outer space is like? Describe it in as much detail as possible. Do you think that animals have thoughts like people do? What would they think about if they did? What do you think your toys do when you are asleep? 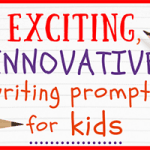 Write a story about the adventures they could have. If you could invent a new form of transportation, what would you want to create? Explain how it would work. If you had a genie to grant you three wishes, what would you request? There’s one catch—you can’t ask for more wishes! 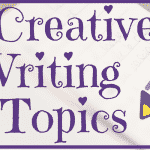 Write about a time when someone did something that made you mad. How did you resolve the situation? Do you believe that any magical or mystical creatures (like unicorns, ghosts, or Bigfoot) exist? Why or why not? Write a poem that describes how you feel when you lay down in bed each night.